A couple of sessions more into this project and we have the frame ready for decals and lacquering.. Solid layer of primer on the bare surface once again, but this time allowing it to dry up for about a day. Then, light sanding over the primer (600 grit) followed by dust removal (damp cloth + compressed air) and three layers of paint. 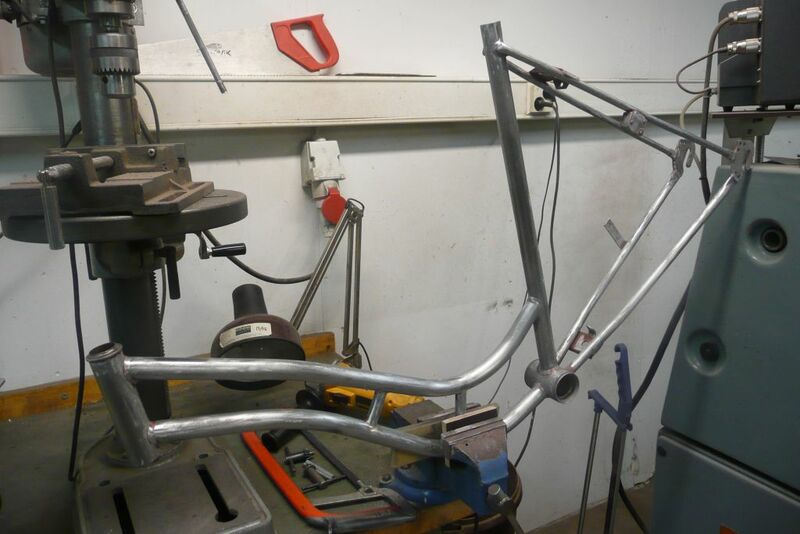 One can of primer and paint were just enough for the fork and frame.